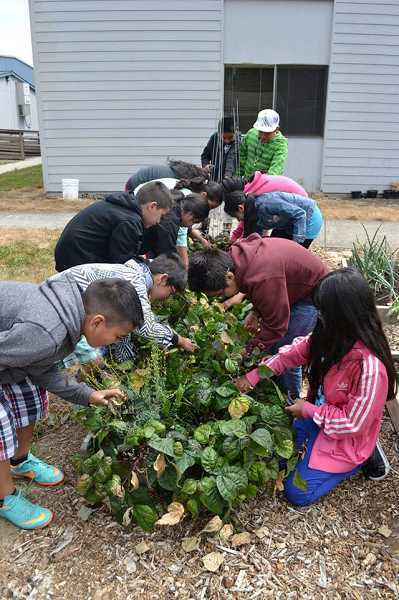 First Presbyterian Church of Woodburn is bringing back the community garden that once gave nearly 5,000 pounds of produce to the AWARE Food Bank. Planting day is May 19, and will begin with a ribbon cutting ceremony at 9 a.m. There will be refreshments, gardening activities and advice from Master Gardeners. Ian Niktab, founder of the nonprofit Planting Communities! and a teacher at Nellie Muir Elementary School, will be the main garden coordinator this year. "The vision I have for this garden is to build community and provide a safe space where folks can grow food for themselves and others, as well as be an example of positive community actions." Niktab said in a press release. "Once again, I'm excited to see this project come to fruition. We have a great team working on this project." A limited number of individual gardens are available to the public on a first come, first serve basis. Volunteers are invited to work the large community garden with proceeds going to the food bank. Students under supervision of a teacher or mentor can receive community service hours. The community garden started when Beth Matthews, the Meals On Wheels site coordinator at the church, wanted some cucumbers to include in the senior lunches. "I just made a little garden out in the back," she said in the press release. "That's how this whole thing started." "We have the land and we want it to be fruitful," said Rev. Cynthia O'Brien, pastor at First Presbyterian Church. "We're excited to support the food bank and also have our neighbors come over and grow their own food. Maybe parents will teach their kids."